CreativeMornings™ is a breakfast lecture series for the creative community. In 2008, Tina Roth Eisenberg started CreativeMornings™ out of a desire for an ongoing, accessible event for New York's creative community. The concept was simple: breakfast and a short talk one Friday morning a month. We are here to celebrate and share creative thinking. To bring what started in NYC to fresh creative thinkers of the city of Sheffield. 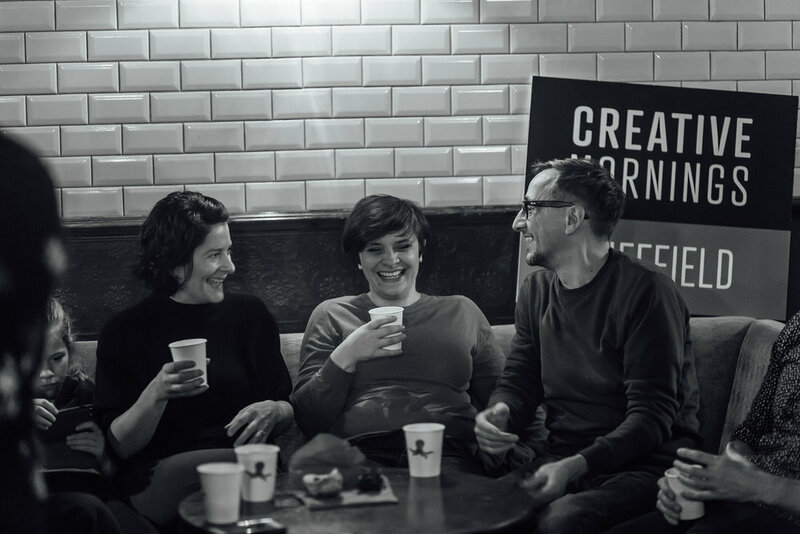 CreativeMornings™ provides a platform for creators, enterprisers and doers to share their stories. For audience members to hear first-hand how ideas are turning into realities. We are building an encouragement network of positive actions and change...all by 10:00 am.